Jamaica is one of the country's largest island after Cuba and Hispaniola in the Caribbean Sea, Central America. Jamaica is a very attractive tourist destination. Here are the reasons that make people like to vacation in Jamaica. Sun and extreme weather, friendliness of people there. Relaxed and very friendly attitude shown by indigenous people in Jamaica. Maybe you will not believe it because they can enjoy a holiday with interesting people like them. Jamaica has a beautiful environment. There is still a hidden gem and countless in Jamaica, Starting from the beach, the forest and a place other attractions that are quite beautiful. Beach,the major vacation choice for this country is the beach. Many foreign and local travelers play on the beach or swim and bask in the sun during the summer. No trip to Jamaica is complete without doing some beach hopping. Among the great tourist attractions in Jamaica, Doctor’s Cave Beach in Montego Bay frequently tops the list of favorites with its sugary white sands and calm, aquamarine waters. This five mile stretch of sand is equipped with amenities, such as changing rooms and a beach bar. A family favorite, Doctor’s Cave Beach is credited with making Montego Bay, known affectionately as Mo Bay, a major tourist destination in Jamaica. Dunn’s River Falls is one of the most popular tourist attractions in Jamaica and the Caribbean at large. 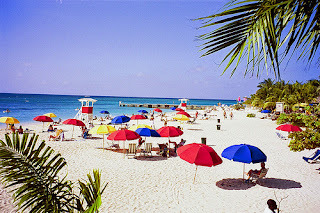 In fact, it is the top-grossing tourist site in Jamaica. The staggering falls are surrounded by lush, green vegetation that provides shade for visitors. 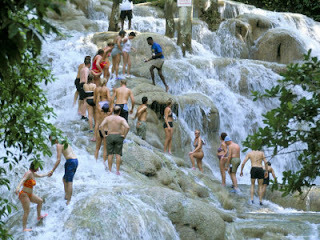 Climbing is a popular pastime at Dunn’s River Falls. It takes approximately 30 minutes to climb the falls, and climbs are typically guided. If you want to avoid the hordes of tourists when visiting this natural wonder, arrive before 10am or after 4pm. As an alternative to beach hopping, catch a ride with the Black River safari on the south coast of Jamaica. Black River safaris allow you to get spookily close to native crocodiles and savor local dishes at shacks on the waterside. These fun-filled guided tours take place aboard comfortable boats and give you the opportunity to learn a vast amount about the area’s flora and fauna. Neighboring attractions on Jamaica’s south coast include the cascading YS falls and the Appleton Rum Estate. The Bob Marley Museum in Kingston details the life and achievements of Bob Marley, a reggae legend. 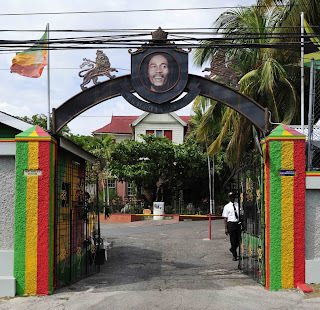 Housed in the former home and recording studio of Bob Marley on Hope Road, the museum is the most frequently visited of all tourist attractions in Jamaica’s capital of Kingston. The guided, hour-long tour of the Bob Marley Museum provides insights into Bob Marley’s fascinating life and ends with a short film about the reggae superstar’s final days. One of the most famous and stunning tourist attractions in Jamaica is the Blue Lagoon, a deep blue water hole fed by freshwater springs and connected to the sea by a narrow channel. The popular attraction is also home to the top-class Blue Lagoon Hotel. The Blue Lagoon Jamaica is famed for its intense blue and green colors, which ranges from azure to intense emerald and changes as the sun moves over it. The deep hue is caused by the depth of the lagoon: almost 200 feet (more than 50 meters). 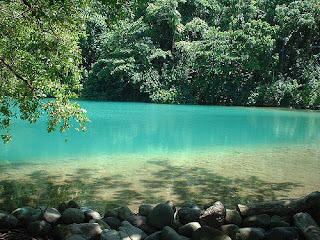 Blue Lagoon Jamaica is open to the public; anyone can make the journey from nearby Port Antonio. Scuba diving in the crystal clear waters is an experience not to be forgotten. 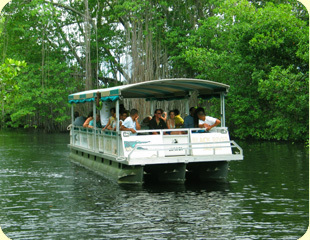 Another popular activity at Blue Lagoon Jamaica is taking a boat along the coast to nearby Monkey Island. Jamaica is home to a stunning landscape and a culture deeply influenced by its African roots, Jamaica stands out among its Caribbean neighbors. Over one million visitors flock to Jamaica each year to frolic on its white sand beaches, snorkel in its crystal-clear waters, and climb up its cascading waterfalls. Happy vacation in Jamaica.